About Our Office Our purpose is to help you experience life with optimum health! Dr. Bradford has been helping people to experience life with optimum health at this location since 1991. We use state of the art equipment to help you get out of pain and live the life you want. We have a very experienced massage therapist who can also help you reach your wellness goals. Christopher C Wolcott DC, FIAMA, D.C.
Southport Grace Wellness Center Ltd.
Lori Portnoy, D.C., is a chiropractor located in Chicago, IL. Techniques: • Thompson • Cox • Sacro Occipital Technique • Activator Methods • Diversified Take the next step and contact Dr. Lori Portnoy, D.C., for a consultation in Chicago, IL or to get more information. Jeff Heddles, D.C., is a chiropractor located in Chicago, IL. Take the next step and contact Dr. Jeff Heddles, D.C., for a consultation in Chicago, IL or to get more information. Eugene Gailard, D.C., is a chiropractor located in Chicago, IL. Take the next step and contact Dr. Eugene Gailard, D.C., for a consultation in Chicago, IL or to get more information. Andrew B Gard, D.C., is a chiropractor located in Chicago, IL. Techniques: • Gonstead • Diversified • Active Release Technique • Thompson • Flexion-Distraction • Cox • Kinesio Tape Take the next step and contact Dr. Andrew B Gard, D.C., for a consultation in Chicago, IL or to get more information. Steven R Ostojic, D.C., is a chiropractor located in Chicago, IL. Techniques: • Diversified Take the next step and contact Dr. Steven R Ostojic, D.C., for a consultation in Chicago, IL or to get more information. Lincoln Park Chiropractic..."A Total Wellness Center"
Peter Zid, D.C., is a chiropractor located in Chicago, IL. Techniques: • Diversified • Sacro Occipital Technique • Flexion-Distraction • Thompson • Nimmo Take the next step and contact Dr. Peter Zid, D.C., for a consultation in Chicago, IL or to get more information. Vincent Roberts, D.C., is a chiropractor located in Chicago, IL. Take the next step and contact Dr. Vincent Roberts, D.C., for a consultation in Chicago, IL or to get more information. William D Schwartz, D.C., is a chiropractor located in Chicago, IL. Techniques: • Diversified Take the next step and contact Dr. William D Schwartz, D.C., for a consultation in Chicago, IL or to get more information. Tracey D Stiles, D.C., is a chiropractor located in Chicago, IL. Take the next step and contact Dr. Tracey D Stiles, D.C., for a consultation in Chicago, IL or to get more information. Stephanie J. Kelly, D.C., is a chiropractor located in Chicago, IL. Techniques: • Gonstead • Diversified • Activator Methods • Versendaal Take the next step and contact Dr. Stephanie J. Kelly, D.C., for a consultation in Chicago, IL or to get more information. Ronda Butler, D.C., is a chiropractor located in Chicago, IL. Take the next step and contact Dr. Ronda Butler, D.C., for a consultation in Chicago, IL or to get more information. Cynthia Yaffee, D.C., is a chiropractor located in Chicago, IL. Take the next step and contact Dr. Cynthia Yaffee, D.C., for a consultation in Chicago, IL or to get more information. Gerald Driscoll, D.C., is a chiropractor located in Chicago, IL. Techniques: • Flexion-Distraction • Cox Take the next step and contact Dr. Gerald Driscoll, D.C., for a consultation in Chicago, IL or to get more information. Paul Risner, D.C., is a chiropractor located in Chicago, IL. Take the next step and contact Dr. Paul Risner, D.C., for a consultation in Chicago, IL or to get more information. Anastasia Akrivos, D.C., is a chiropractor located in Chicago, IL. Take the next step and contact Dr. Anastasia Akrivos, D.C., for a consultation in Chicago, IL or to get more information. Irmina Trebert, D.C., is a chiropractor located in Chicago, IL. Techniques: • Atlas Orthogonal • Diversified Take the next step and contact Dr. Irmina Trebert, D.C., for a consultation in Chicago, IL or to get more information. Tom Toulios, D.C., is a chiropractor located in Chicago, IL. Take the next step and contact Dr. Tom Toulios, D.C., for a consultation in Chicago, IL or to get more information. Donald Reed, D.C., is a chiropractor located in Chicago, IL. Techniques: • Applied Kinesiology Take the next step and contact Dr. Donald Reed, D.C., for a consultation in Chicago, IL or to get more information. Jeanette McKinney, D.C., is a chiropractor located in Chicago, IL. Techniques: • Diversified Take the next step and contact Dr. Jeanette McKinney, D.C., for a consultation in Chicago, IL or to get more information. Jason g Fennema, D.C., is a chiropractor located in Chicago, IL. Techniques: • Active Release Technique • Chiropractic Biophysics • Diversified • Thompson Take the next step and contact Dr. Jason g Fennema, D.C., for a consultation in Chicago, IL or to get more information. Marshall Dickholtz, D.C., is a chiropractor located in Chicago, IL. Take the next step and contact Dr. Marshall Dickholtz, D.C., for a consultation in Chicago, IL or to get more information. Domenic A Cusano, D.C., is a chiropractor located in Chicago, IL. Techniques: • Diversified • Applied Kinesiology • Logan Basic Take the next step and contact Dr. Domenic A Cusano, D.C., for a consultation in Chicago, IL or to get more information. Joseph J Panzo, D.C., is a chiropractor located in Chicago, IL. Take the next step and contact Dr. Joseph J Panzo, D.C., for a consultation in Chicago, IL or to get more information. Daryl Davis, D.C., is a chiropractor located in Chicago, IL. Take the next step and contact Dr. Daryl Davis, D.C., for a consultation in Chicago, IL or to get more information. Denise Michel, D.C., is a chiropractor located in Chicago, IL. Techniques: • Network Take the next step and contact Dr. Denise Michel, D.C., for a consultation in Chicago, IL or to get more information. Alden Clendenin, D.C., is a chiropractor located in Chicago, IL. Techniques: • Diversified • Flexion-Distraction • Manual Adjusting • Motion Analysis (Palpation) • Activator Methods Take the next step and contact Dr. Alden Clendenin, D.C., for a consultation in Chicago, IL or to get more information. Janet Gutrich, D.C., is a chiropractor located in Chicago, IL. Techniques: • Diversified • Cox • Myofascial • Cranial • Flexion-Distraction • Motion Analysis (Palpation) • Naprapathy Take the next step and contact Dr. Janet Gutrich, D.C., for a consultation in Chicago, IL or to get more information. Robert V Olsen, D.C., is a chiropractor located in Chicago, IL. Take the next step and contact Dr. Robert V Olsen, D.C., for a consultation in Chicago, IL or to get more information. G D Chaplin, D.C., is a chiropractor located in Chicago, IL. Take the next step and contact Dr. G D Chaplin, D.C., for a consultation in Chicago, IL or to get more information. 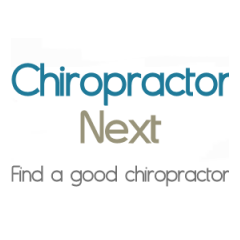 Fred J Turk, D.C., is a chiropractor located in Chicago, IL. Techniques: • Activator Methods • Diversified Take the next step and contact Dr. Fred J Turk, D.C., for a consultation in Chicago, IL or to get more information. Phoxay Phetthongsy, D.C., is a chiropractor located in Chicago, IL. Techniques: • Flexion-Distraction • Manual Adjusting • Trigger Point Therapy Take the next step and contact Dr. Phoxay Phetthongsy, D.C., for a consultation in Chicago, IL or to get more information. George E Zucco, D.C., is a chiropractor located in Chicago, IL. Techniques: • Hole in One • Toggle Recoil • Cervical Drop Headpiece Take the next step and contact Dr. George E Zucco, D.C., for a consultation in Chicago, IL or to get more information. Franklin D Ing, D.C., is a chiropractor located in Chicago, IL. Techniques: • Diversified Take the next step and contact Dr. Franklin D Ing, D.C., for a consultation in Chicago, IL or to get more information. Valerian Kravtsov, D.C., is a chiropractor located in Chicago, IL. Take the next step and contact Dr. Valerian Kravtsov, D.C., for a consultation in Chicago, IL or to get more information. Matthew Nuesse, D.C., is a chiropractor located in Chicago, IL. Take the next step and contact Dr. Matthew Nuesse, D.C., for a consultation in Chicago, IL or to get more information.